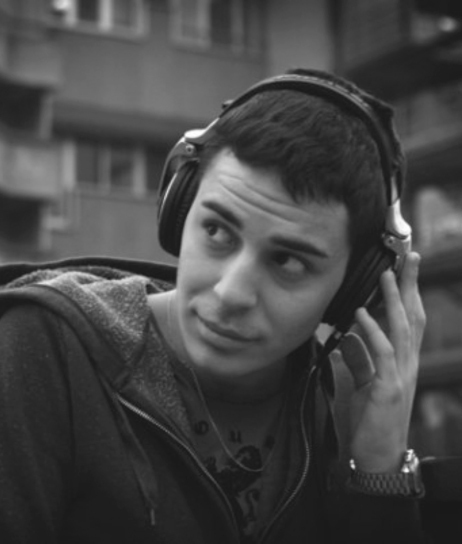 Born and raised in the Italian city of Turin, Federico Parigi aka Defbeat first developed his strange passion for all things electronic listening to the latest underground mixes whilst still in highschool which soon progressed to him purchasing his first set of turntables in his late teens and teaching himself the art of beat mixing. After gaining a solid reputation spinning tracks across Turin's underground afterparty scene Federico soon found success in the dj booth gaining regular guest slots at the cream of Turin's nightlife including 'The Beach', 'Patio Club, 'Suono' and 'Jam Club' amongst others. After moving to London to study in 2010 he soon found himself as Saturday night resident Dj at the infamous Ministry Of Sound playing for events like 'Defected In The House', 'Objektivity', 'Global Underground' and 'We Love' alongside DJs such as Dennis Ferrer, Funkagenda, Wally Lopez, Martinez Bros., Christian Varela, Arno Cost, Michael Woods, DJ Gregory, Tensnake and more. Since venturing into the world of production Federico has seen career blossom with his first Revolucion release 'Krawler' topping the download charts back in 2010 and his follow up release following along a similar path with the standout track 'Sakare' garnering rave reviews. After a 4 year hiatus to complete his studies he is set to return to his long awaited production duties in 2017, certainly one to keep a close eye on..